There’s not much we can say with certainty as Thursday's NBA draft approaches. Some team will get a terrific bargain in this draft. Some team will burn its pick on a colossal disappointment whose name will be whispered in the same breath those of uber-busts Darko Mili?i? and Marcus Fizer. NBA general managers should take heart, though. No matter how boneheaded their draft picks are, no matter how colossally their selections flop, they won’t make the worst NBA draft selection of all time. That distinction goes to the very first pick of the league’s very first draft. From a basketball standpoint, the selection of McNeely made sense. The Ironmen’s struggling offense had only managed to score 61.2 points per game the previous season. The team’s defense was on the wrong side of mediocre, too, so Pittsburgh had piled up a rotten 15-45 record and finished dead last in the standings. McNeely, meanwhile, had been an All-American at Texas Wesleyan while leading the nation in scoring. An anemic offense snapping up a scoring savant seemed perfectly logical. Or, rather, it would have been perfectly logical if McNeely had wanted to play pro basketball. He didn’t. McNeely turned down the Ironmen’s employment offer in favor of staying home and coaching high school hoops in Pampa, TX. (Apparently the pre-draft interview process for prospects was less rigorous in those days; nobody bothered to ask questions like, “You do want to play pro basketball, right?”) It wasn’t a bad decision for McNeely; he coached Pampa to four state titles in 13 years on the bench. He later became a principal and school administrator. To put it mildly, the bungled pick didn’t turn out quite as well for the Ironmen. 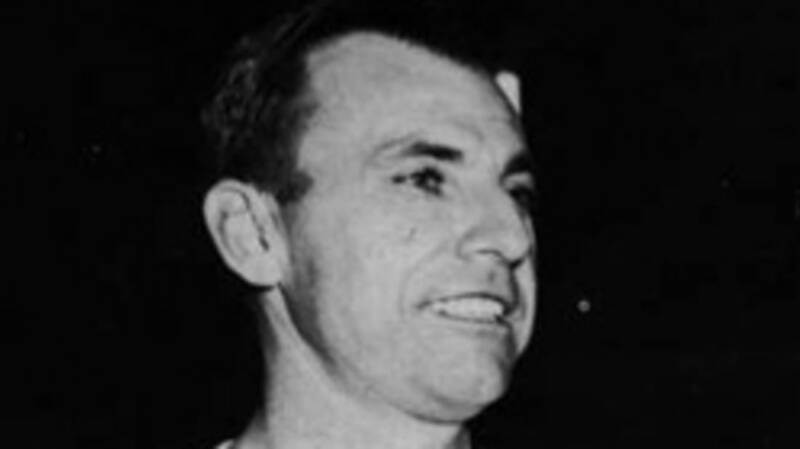 Owner John Harris actually folded the team before the 1947-48 BAA season even started. The best evidence that the Ironmen ever existed comes from their terrible showing in the team’s one and only draft. The Ironmen weren’t the only BAA squad who left the 1947 draft with nothing to show for their first-round pick, though. The Providence Steamrollers selected University of Connecticut standout Walt Dropo with the fourth overall pick of the draft. Dropo spurned the Steamrollers to join the Boston Red Sox. He was both an All-Star and the American League Rookie of the Year in 1950 at the beginning of a 13-year MLB career. Of course, the only thing more frustrating than wasting picks is seeing the players you pass over go on to great things. While McNeely, Dropo, and two of the other 10 first-round picks never suited up for their respective squads, three players taken much later in the draft would later earn induction into the Hall of Fame: Harry “the Horse” Gallatin, 6’4” forward-center Jim Pollard, and swingman Andy Phillip.